The nationally recognized Kania School of Management (KSOM) excels at supplying the tools you need to succeed in the increasingly global and technological world of business. There are ten programs of study within the school, three of which are ranked in the top 25 in the nation by U.S. News & World Report. Each is firmly grounded in the real world of business and organizational leadership and prepares the student for a career in business or for graduate study. The Irwin E. Alperin Financial Center is a state-of-the-art financial research center. 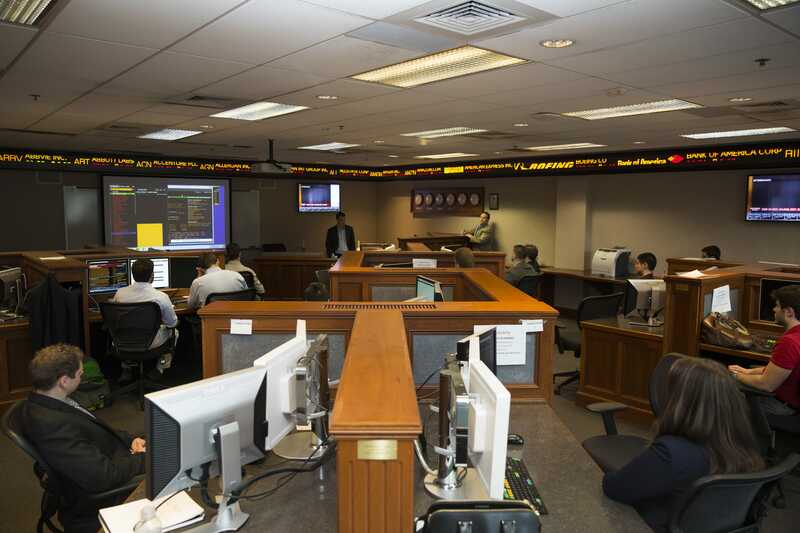 It features a simulated stock market trading room and 12 Bloomberg terminals that allow students to obtain hands-on experience with stock and foreign currency markets. 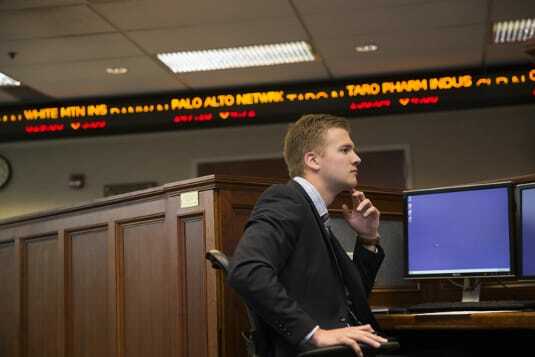 An electronic ticker, specialized trading software and live data feeds from currency, securities and commodities markets all serve students looking to perform real-time research. 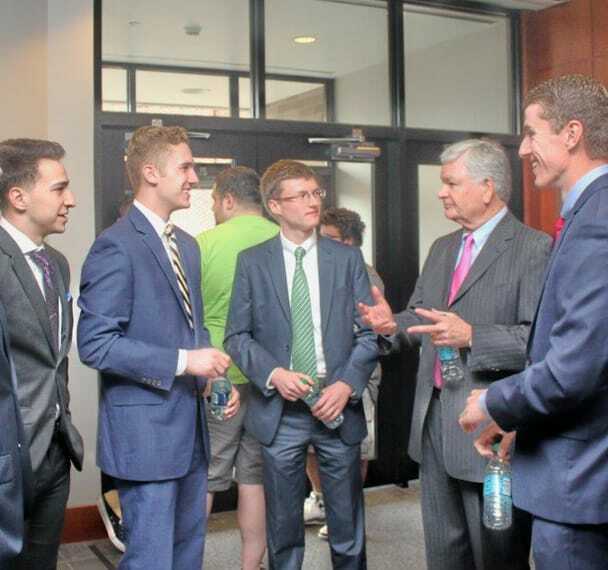 Each year the Kania School brings in executives from a wide range of backgrounds to speak in classes and meet with students to offer career advice. 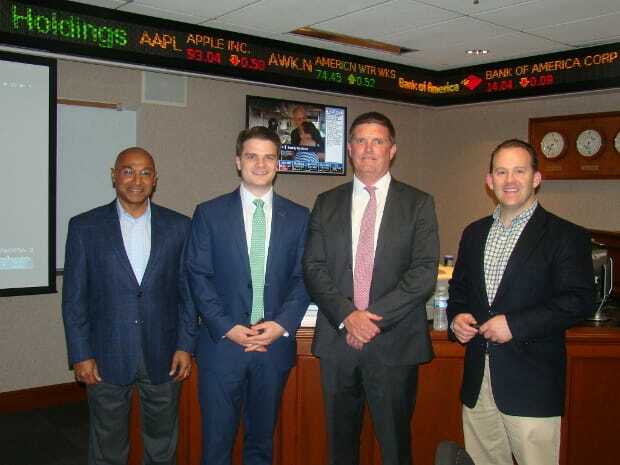 The school has hosted investment bankers, accountants, entrepreneurs, and management executives, to name a few. 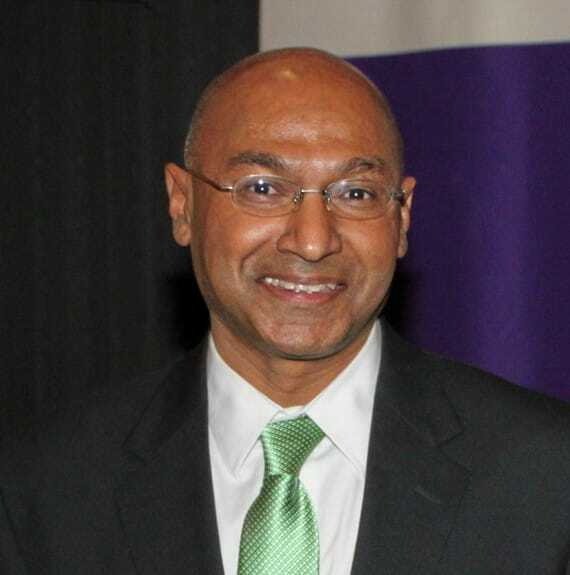 The Executive-in-Residence Program is one of the business school's most popular programs. 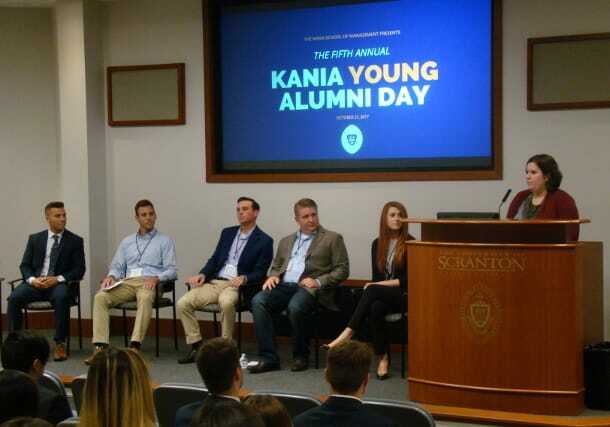 One of the biggest events in the Kania School, Young Alumni Day each year features several recent graduates who are working in a range of business fields. 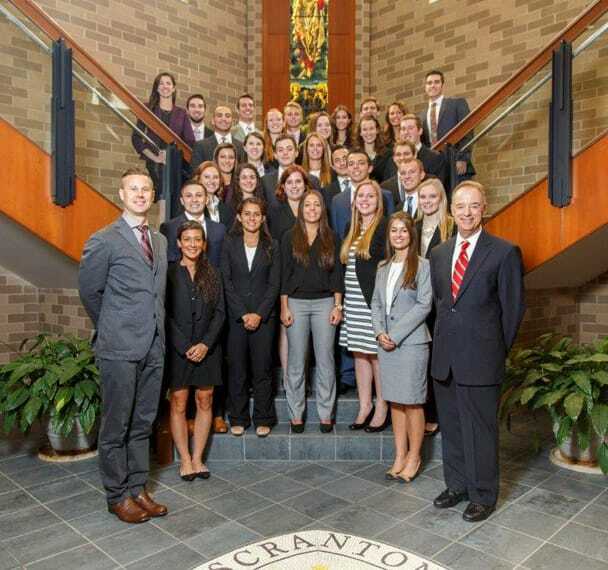 They return to Scranton for a day to offer advice on topics like job searches, interviews, resumes, networking, and internships. This event is always well received, as students feel comfortable talking to business alumni who are relatively close in age. Young Alumni Day is one of many events offered through our Center for Practical Learning. 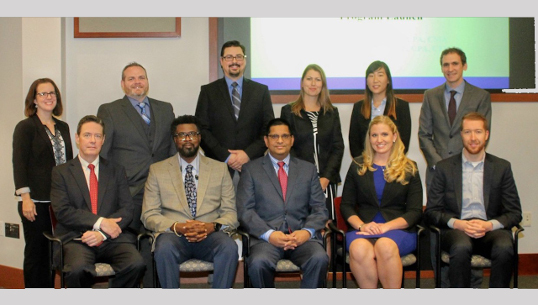 The first cohort of students began the Kania School's new Doctor of Business Administration (DBA) program in fall 2017. It is the third doctoral-level program offered by The University, following our Doctor of Physical Therapy (DPT) and Doctor of Nursing Practice (DNP) degrees. First row, from left: Dr. Douglas Boyle, Accounting department chair and DBA program director, and students Anthony Fulmore, Joy Chacko, Amanda Marcy and Patrick O'Brien. Second row: Students Heather Losi, Ronald Parker, Marcus Burke, Elena Isaacson, Stephanie Lee, and Daniel Gaydon. The world of stock car racing returned to campus in April 2019, with the second annual NASCAR Day, sponsored by the Business Club and Marketing Society. 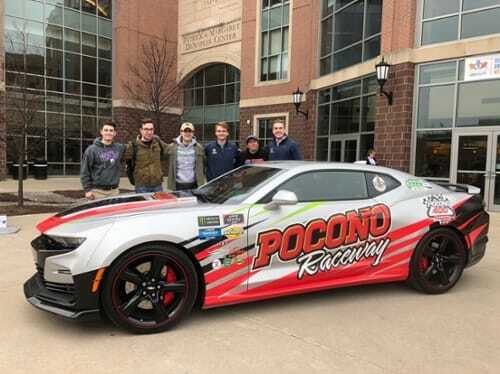 Pocono Raceway CEO Nick Igdalsky visited a social media class, gave interviews and participated in a tire change challenge with students outside The DeNaples Center. The Kania School began offering a Master of Science in Finance (MSF) online in January 2018. An on-campus program will begin in the fall of 2018. The Kania School's MSF program is designed for people interested in careers in financial or investment management and can help prepare students for professional certifications, including the Chartered Financial Analyst (CFA) program. The rigorous curriculum and flexible format are ideal for working professionals who wish to join the field or gain a competitive edge. 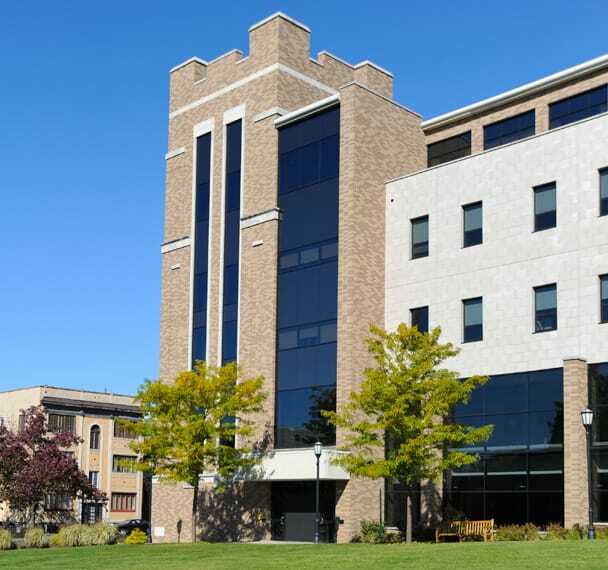 The Kania School has been accredited by AACSB, The Association to Advance Collegiate Schools of Business, since 1996. This program helps students develop the talents and skills necessary to succeed in leadership settings. Our professional development activities, such as resume-writing seminars, help students develop key non-academic skills. Our career coaches program pairs students with distinguished alumni and other professionals who offer career advice and counsel. Welcome to the Kania School of Management, a Jesuit business school committed to forming students into productive, ethical, and socially responsible individuals. 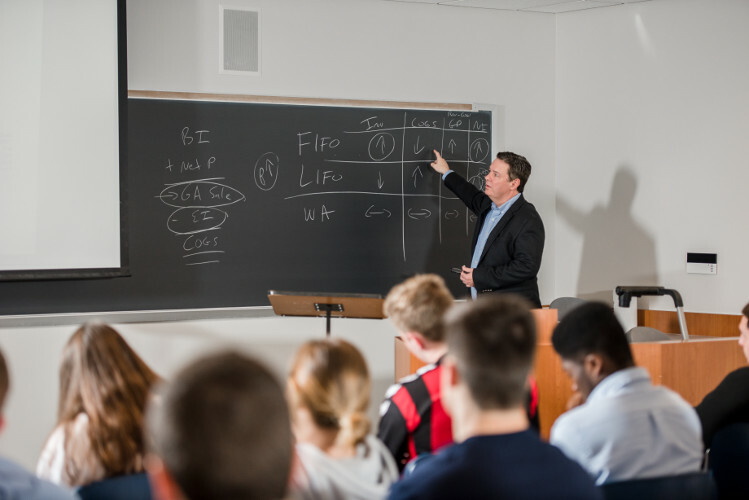 Our rigorous and innovative business curriculum is taught by outstanding faculty who love being in the classroom. Business programs in the Kania School enjoy national rankings and are accredited by AACSB International. A career advisor in the Kania School helps students with internships and employment. 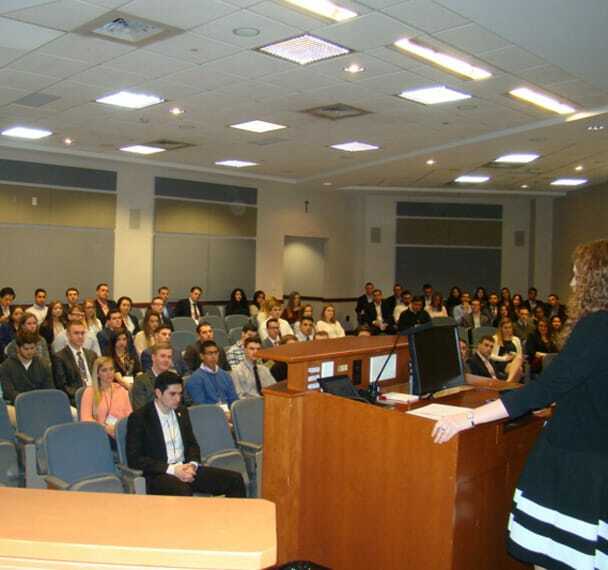 In addition, a highly engaged group of alumni provide our students with valuable career guidance. Come see for yourself how our faculty, staff, students, alumni and business partners engage in the education of future business leaders.